We tend to get a little obsessed with food at our house during Thanksgiving, so a little focus on the ‘Thanks’ is necessary. As I am writing this I am thinking about how we will discuss this further, talking about the opportunities she has; being able to play soccer, play with her sister, dance, learn. The list could go on and on, as could the discussion. Teaching children to have a ‘cup half full” attitude is wonderful skill to carry though life. Being able to find the positive in most situations makes life easier and often more fulfilling. 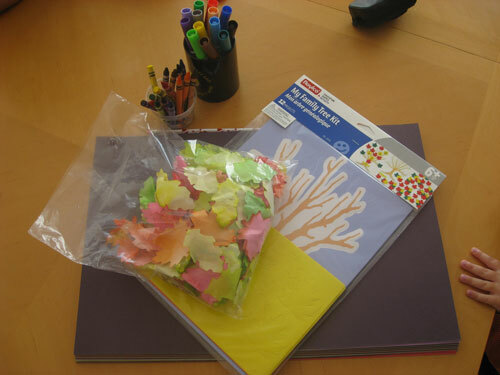 What time of day we start a craft, often influences the amount of energy Daisy can give to a project. This activity was started after 2pm and she was lacking enthusiasm so I wrote the ‘Thanks’ on the leaves. 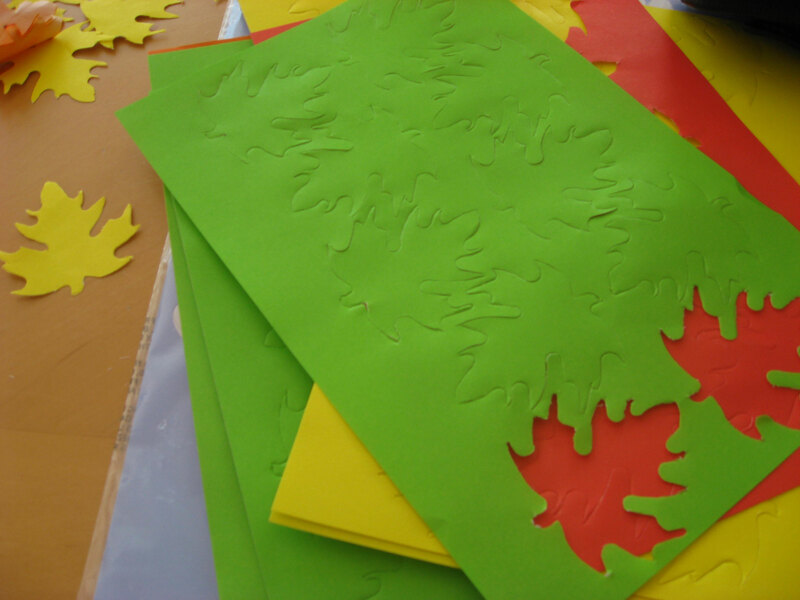 If we had done this in the morning Daisy would have been able to write some of the leaves herself. 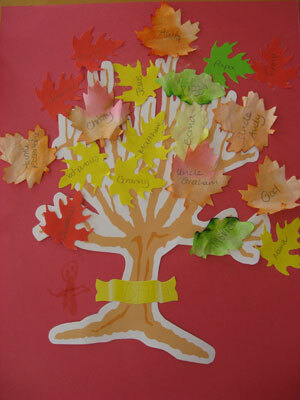 With younger children the leaves would need to be bigger and photos and magazines could be used for collage. I wrote on the leaves for her. 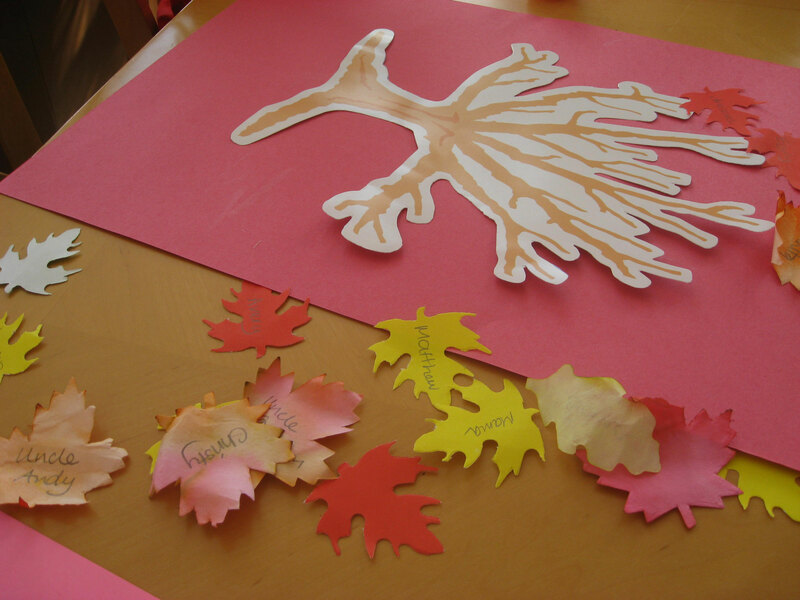 (This craft idea was taken from The Preschooler’s Busy Book).